Hello everyone, I seem to be recovering from my tooth removal quite well (no more ice pants, ability to chew my beloved summer peaches). This is something I made a while ago, but kind of hemmed and hawed about posting because I didn't particularly enjoy the finished result. But I am just one person. So see for yourself! I am glad you are better. I like that truck. Thanks! I like it too. 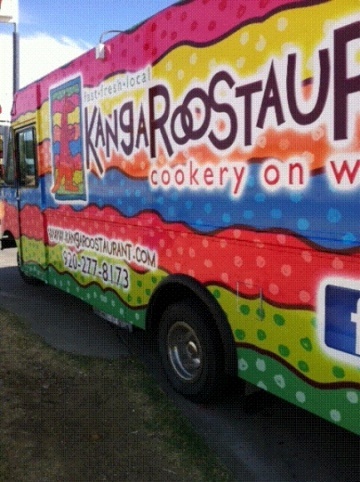 I think there should be more colorful food trucks in the world.